Irish Water CEO John Tierney has said the company spent €50m on consultants last year. However, he said that amount of money would not be spent this year. Mr Tierney said that as Irish Water establishes itself as a business it will have very limited expenditure on consultants because it will have hired in the expertise. Speaking on Today with Sean O’Rourke, he said there have been very few applications from those working in utilities in Northern Ireland because salaries in Ireland are far lower than those in other countries. A decision on the final amount to be charged for water rates will be made by the end of August. The proposed charge will be assessed by the Commissioner for Energy Regulation who will then hold a public consultation on the plan. Mr Tierney said the charge will be reasonable, but he cannot yet comment on how much it will cost, as there are many processes to be completed before a final decision is made. He said: “We have two submissions to do to the Commissioner for Energy Regulation, one at the end of January, one at the end of February. Mr Tierney said existing charges for businesses are likely to rise in large urban areas. Irish Water will have the power to restrict the flow of water to those who refuse to pay, which will be important in terms of bill collection. “We want people to pay, to understand that those who try not to pay are being followed up to the maximum extent possible because that’s how we keep the charge low overall,” he said. Tánaiste Eamon Gilmore has said that the consultancy fees amount to a lot of money. He said he trusts that Irish Water will be able to demonstrate that it represents value for money and that the expenditure is necessary as part of the start-up costs for the body. He said Irish Water is a major reform in the way water services are managed and delivered. Fianna Fáil leader Micheál Martin has said the €50m spent on fees is “extraordinary and scandalous”. He added “I think people will be very angry if they feel that their water charges bills which will start next year will go to pay such an extravagant amount of consultancies”. Meanwhile, the Commission for Energy Regulation has said it may allow Irish Water to increase its charge per unit for water if demand is not as high as anticipated. It says it may have to do this if lower than anticipated demand means that Irish Water is not able to cover its costs. But it added that if customers are using less water than anticipated then they will be paying less than expected, even though the per-unit cost would be higher. It also confirmed that Irish Water may also increase charges if it has higher than anticipated costs because of unforeseen events such as extreme weather conditions including droughts or big freezes. 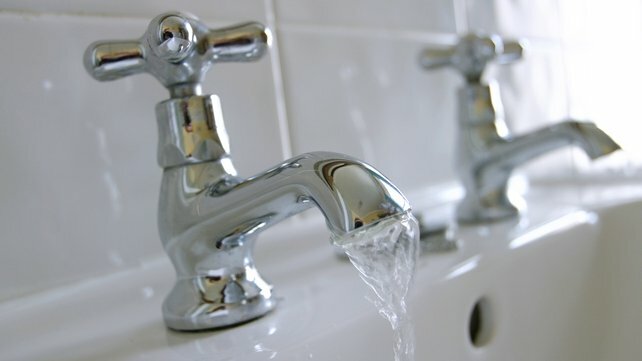 Water charges will be fixed for an initial period when they come in but may change after a review. It is not known yet how long that period will be.